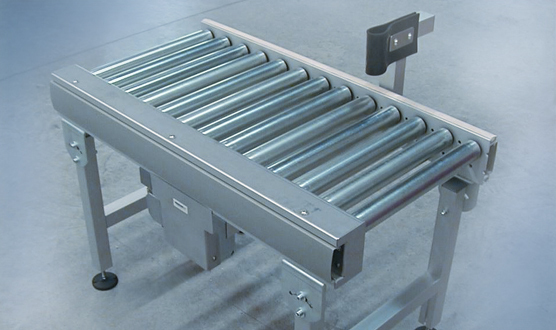 Roller conveyors are the optimum solution for items that are too heavy for a conveyor belt, for plastic containers or for goods that could damage the conveyor belt. 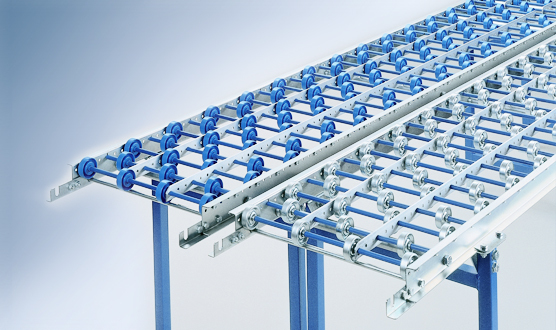 The Walther Flender roller conveyors can be used flexibly within your production process: from sorting and distribution right up to their use as a buffer station. The Walther Flender roller conveyors can be supplied as heavy-duty roller conveyors, as a medium-duty version and as a light roller conveyor, both straight and as a curve. 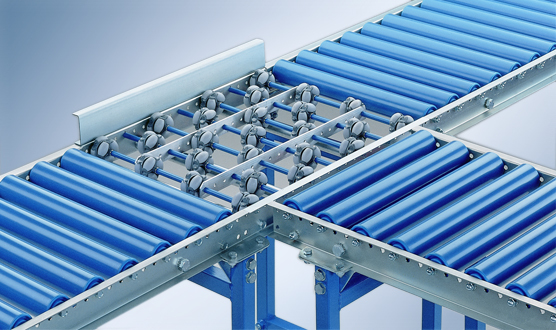 The individual engineering, the flexible modular design and the custom-fit connection points ensure that our roller conveyors can be adapted precisely to your sector and your application. Our practical experience from industrial sectors such as nutrition & luxury foods, intralogistics, tooling machines, woodworking machines, plastic & rubber, building & construction materials and textiles & clothes mean that we are familiar with your specific requirements.